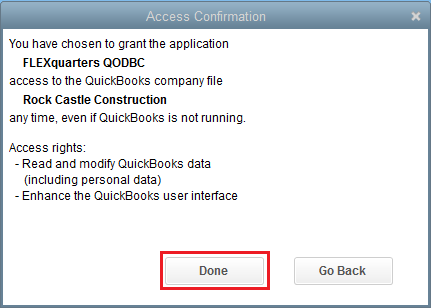 [QODBC-Desktop] Troubleshooting - How to use any other QuickBooks user other than Admin. 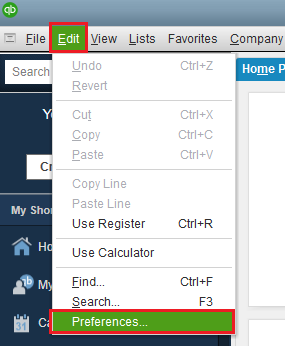 Troubleshooting - How to use any other QuickBooks user other than Admin. We have installed the QODBC and can read the tables in VB Demo. However, after doing the initial read as an admin to QuickBooks, we are unable to then read the tables as the QB QODBC user. Our CFO is uncomfortable with leaving the admin user logged in on another machine for this purpose. Please, can you show me how to move forward? I think you have selected Admin user in the Integrated Application Preference at the time of certificate acceptance in QuickBooks. 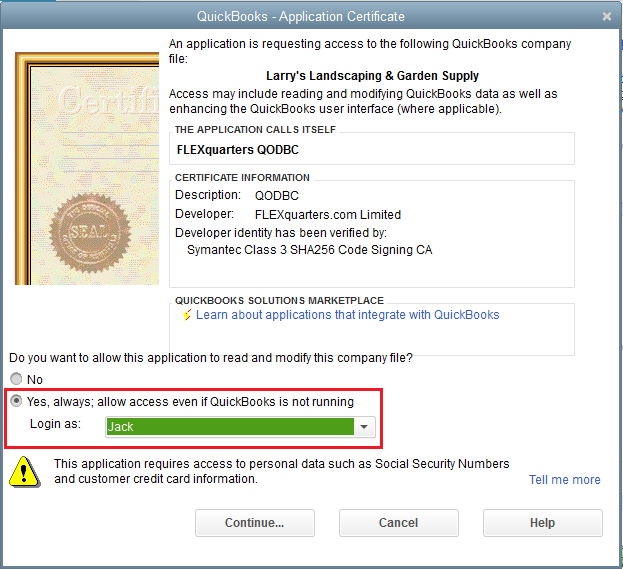 It is not necessary to select Admin user in the certificate acceptance process in QuickBooks. You need to log in as Admin in your company file & try to connect with your application QuickBooks will ask for accepting the certificate. You need to select the User Name at the time of certificate accept the process which you want to use it. For using another user account on the integrated application configuration follow below steps. 1. Try removing all the QODBC integrated application entries in QuickBooks again via Edit Menu -> Preferences -> Integrated Applications -> Company Preferences Tab. 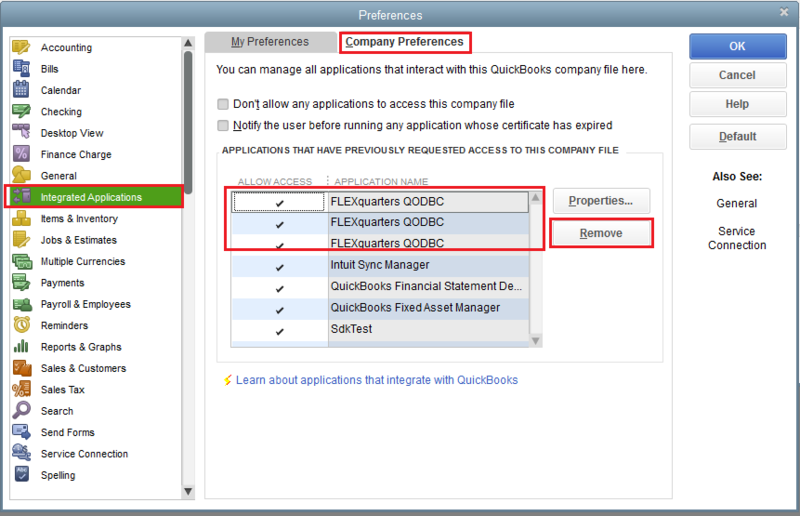 Switch to Company Preferences tab, Select "FLEXquarters QODBC", Click "Remove"
2. Login to your company file as Admin, Connect with your application, Accept Certificate. You need to select the User Name at the time of certificate accept the process which you want to use it. 2. In case you are authorizing QODBC for the first time, select the appropriate user from the list. You need to accept the certificate for each Windows User & for each application which you want to use with QODBC.